LAS VEGAS -- Samsung Electronics showcased its foldable phone prototype to customers in a closed-door meeting at the Consumer Electronics Show in Las Vegas on Tuesday, offering a glimpse into what the South Korean tech giant’s folding phone would look like when completed. 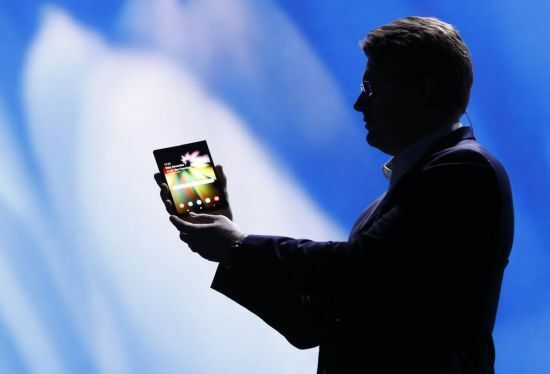 According to a high-level executive from a customer of Samsung, the electronics maker is currently finishing up optimization processes for its foldable phone’s hardware and software. Samsung did not reveal its foldable phone, along with other products nearing commercialization, to regular visitors at CES but only to customers visiting its booth at the tech show. Samsung plans to launch its foldable phone in the first half of the year. But the firm will produce only around 1 million units, much less than the 10 million-unit production quota set for Samsung’s flagship Galaxy S series smartphones. As for marketing strategies, Samsung is likely to target men in their 40s as the prime customers of its upcoming foldable phone, according to the industry. Men in their 40s are familiar with “folder phones” introduced in the late 1990s and also tend to prefer mobile devices with bigger screens. They are also multitaskers who use their phones not only for work but also entertainment, such as games and movies. “Because it’s equipped with the latest flexible display and battery technology, Samsung’s foldable phone is likely to be sold at 1.5 million won ($1,336) or more. Therefore, the company appears to have chosen men in their 40s with purchasing power as the prime customer base,” said a tech industry official on condition of anonymity. While Samsung is putting the finishing touches on its folding phone demo, Chinese technology company Royole has stolen the spotlight at CES with the world’s first commercialized foldable phone with a flexible display: the Royole FlexPai. 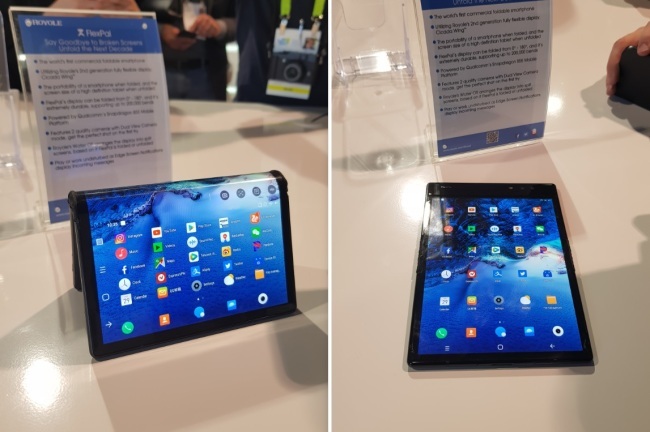 The Royole FlexPai has been the talk of the town at CES 2019, with visitors and media professionals alike forming long queues to check out the FlexPai’s design and functions. The FlexPai is already available for purchase in China at between $1,318 and $1,469, depending on the amount of RAM and storage space. It will be rolled out in global markets in the months ahead, according to Royole.